ExxonMobil, the largest publicly traded international oil and gas company, uses technology and innovation to help meet the world's growing energy needs. 2018 is our 120th years of working in the development of the Indonesia’s oil and gas industry. As an industry leader in almost every aspect of the energy and petrochemical business, we operate facilities or market products in most of the world’s countries and explore for oil and natural gas in six continents. ExxonMobil affiliates and predecessor companies have been operating in Indonesia for more than 118 years. ExxonMobil has a long and proud history of working with the people of Indonesia. For more than a century we have been helping meet Indonesia’s energy needs. ExxonMobil's successes in discovering and developing oil and gas resources in Indonesia clearly demonstrate the company's commitment and contribution to Indonesia's oil and gas sector. ExxonMobil is a dynamic, exciting place to work. We hire exceptional people, and every one of them is empowered to think independently, take initiative and be innovative. We invite you to explore the world of opportunities waiting for you. 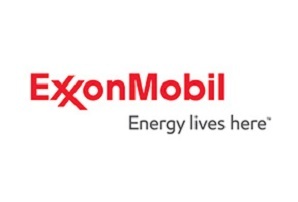 ExxonMobil are committed to fostering an environment of diversity and inclusion. We engage in a wide range of education programs and recruiting activities that are intended to reach out to a diverse pool of highly qualified employment candidates who are dedicated to integrity, high-quality work and good corporate citizenship. This position is to provide field support to our customers (both Industrial and Automotive) in a prompt and efficient manner. He must be conversant and familiar with the field engineering services and implement them flawlessly and with integrity at customer sites. As he or she is an experienced hire, he or she would not require much training prior to commencement in his/her work with the exception of new product launch, engineering program, SSHE program and other related engineering activities to be launched. Other core skills include communication (both written and verbal) analytical, business, teamwork, training and coaching. Preferably Bachelor Engineering degree in Mechanical or Chemical Engineering or Chemical Engineering with related working experience in lubricant, particularly in mining, energy & GM sectors. Thanks for reading ExxonMobil Indonesia Jobs: Field Engineer. Please share...!